Why Your Drug Copay Could Change : Shots - Health News Insurers and employers are looking to stem the rising costs of expensive specialty drugs. One approach is to vary the copayment depending on the health value they calculate the drugs provide. What if how much you paid for a drug was based on how much it might help you, instead of the sticker price? Some big employers are already taking this tack, known as value-based insurance design, by lowering copayments for medicines to manage chronic conditions like diabetes, high cholesterol and high blood pressure. It helps that many of the most prescribed pills are now generic and pretty cheap. It's a simple idea when applied this way. The companies figure that if people take those medicines and stay healthy, they'll avoid costly treatment down the road. By slashing copayments, the companies hope to remove a hurdle that might discourage people from sticking with the drugs. Now some employers are thinking about adapting the approach for pricier specialty drugs, such as those used to treat rheumatoid arthritis, multiple sclerosis and cancer, according to a recent report by the Center for Studying Health System Change. These medicines are often very expensive and have no generic competition. So instead of charging a simple copay for these drugs, some health plans charge a percentage of the total cost, which can run to thousands of dollars a month. 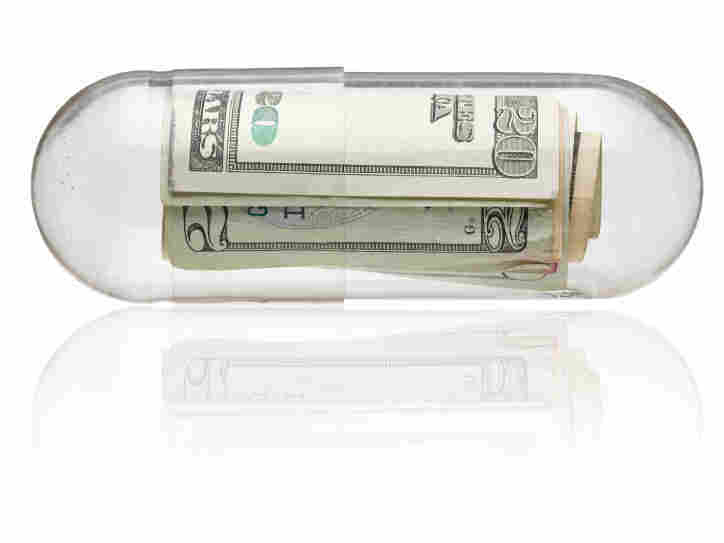 It's one way that insurers and employers are looking to stem the rising costs of specialty drugs, whose growth is far outpacing that of traditional drugs. But in the latest twist, some companies are looking to vary the copayment depending on the value the drugs provide. It isn't easy. For starters, figuring out who is an "appropriate candidate" for specialty drugs can be tough, say experts including James Robinson, an economist at the University of California, Berkeley, who has published articles advocating this insurance model. Even if a specialty drug has been proved clinically effective for certain conditions, should all patients pay the same amount for it? Take a drug like Enbrel, which is approved to treat inflammatory conditions, including rheumatoid arthritis and psoriasis. According to the HSC report, drugs of this type cost $14,455 per year, on average. Psoriasis is disfiguring and uncomfortable, but not fatal, Robinson says, while rheumatoid arthritis is a much more disabling condition. In this case, a value-based insurance design approach might determine that "if you've got psoriasis, maybe you pay a 30 percent coinsurance for the drug," he suggests. "But if you've got rheumatoid arthritis, there's no copayment." That's just the tip of the iceberg. "This stuff is complicated," says Robinson. "I don't want to blow you away with the intractability of the problem." As spending on specialty drugs grows, and despite the difficulties, some experts predict more employers will adopt "value-based" principles for their workers' coverage.